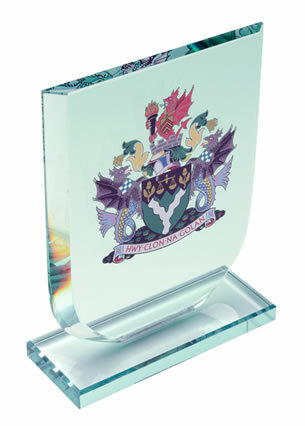 Flat plaque in 12mm thick jade glass, in stylish 'mountain' design, set on jade glass base. These 8in tall awards are ideal for corporate or sports awards and are offered with engraving and/or colour print options. 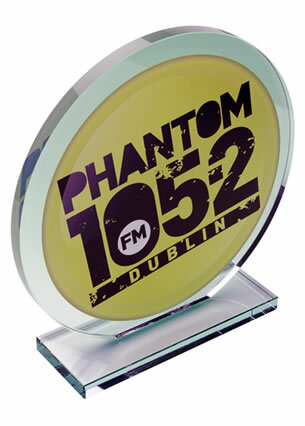 A contemporary design flat glass award featuring a jade glass asymetrical rectangular shape award set on a bavelled jade glass stand. 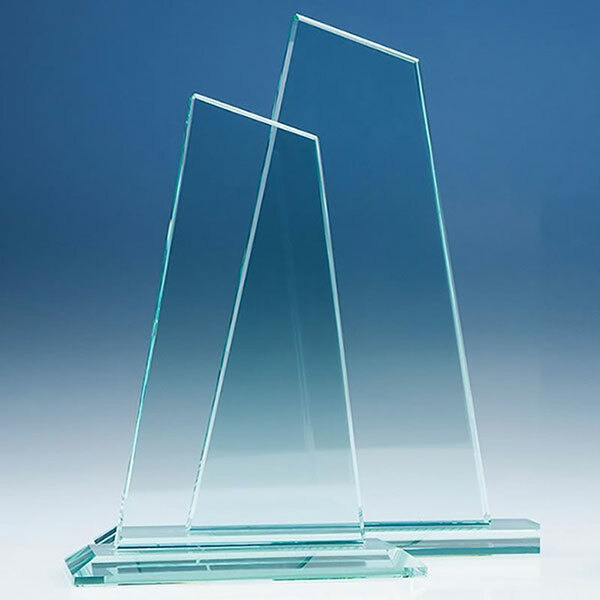 These flat glass awards are perfect for engraving as sports achievement awards or corporate recognition awards. 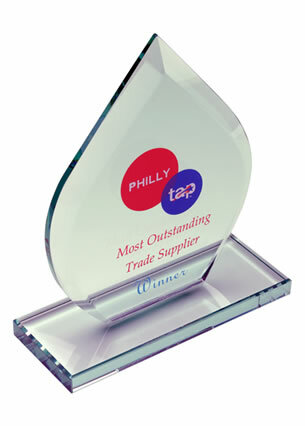 They are offered with engraving and/or colour print options from Crystal Awards Supplier.